When the documentary genre was regarded the single definition of photography, the first and foremost purpose was representing reality. Now with the recently hard-earned position in the visual art world, photography has taken upon itself new forms and meanings. Alternative ways of thinking about, executing and presenting photos have emerged. Among them, the materiality in photography has caught the eye of both practitioners and academics. Most photographers create their works following the same procedure: find a subject, press the shutter, then present the photo on a flat surface. Photos are often viewed on prints, books, projections and led screens. In English, the word “image” simultaneously means the imagery and the photo itself. With photography being regarded as a mere visual tool, the movement on the materiality of photography is an answer to this tradition. 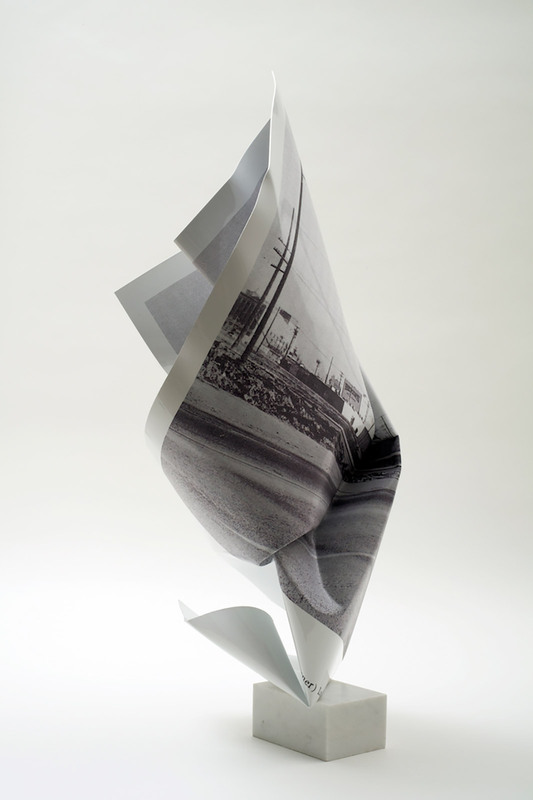 Let’s spend a moment thinking about photos as objects with three dimensions. When a negative is soaked in chemicals, when an image emerges on paper from a printer, then framed or put inside a photo album… Here, the image is both an imagery and a material object, which exist in space and time as well as in the cultural context. Quoting professor Geoffrey Batchen, images have “volume, opacity, tactility and a physical presence in the world” and are thus “enmeshed with subjective, embodied and sensuous interactions”. Such qualities cannot be disregarded and reduced so that the photo only serves as an illustration of an idea. In daily life, photos have never just existed in two dimensions. 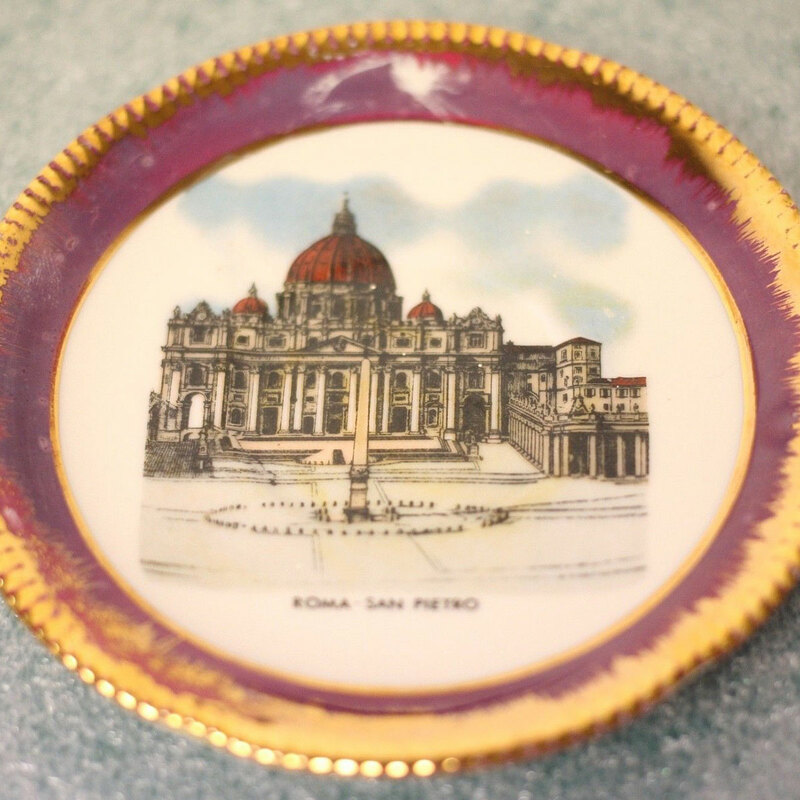 They are intimately integrated to everyday objects, from pendants to photo albums and archival boxes in museums. 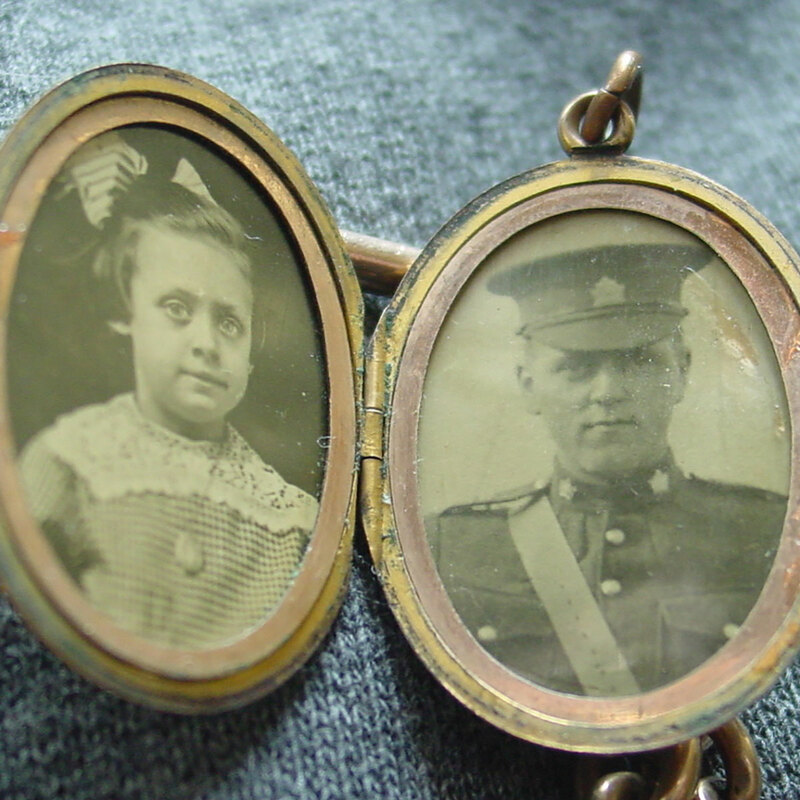 In the 19 century, pendants and pocket watches containing a tiny portrait of a loved one were sought-after accessories, worn by couples separated by distance or young soldiers going to wars. 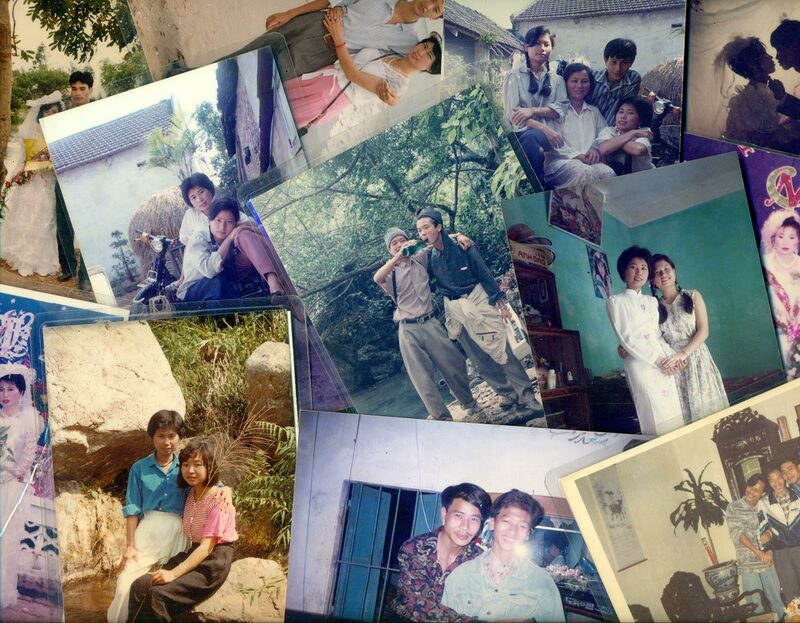 In the pre-Internet era, photos were printed out, laminated, written on and arranged in an album in a personal order. 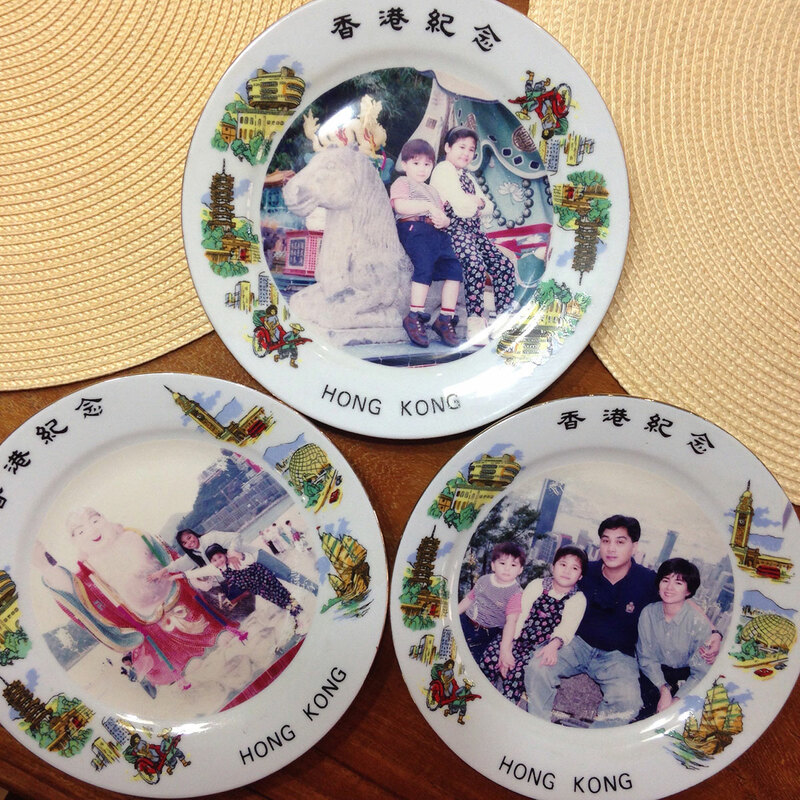 We can also consider souvenirs at tourist attractions: plates and mugs with landscape photos, and services printing photos on mugs, key chains and even birthday cakes. The purpose of transferring images onto other materials is to memorize a past experience, in a different and simultaneous manner. 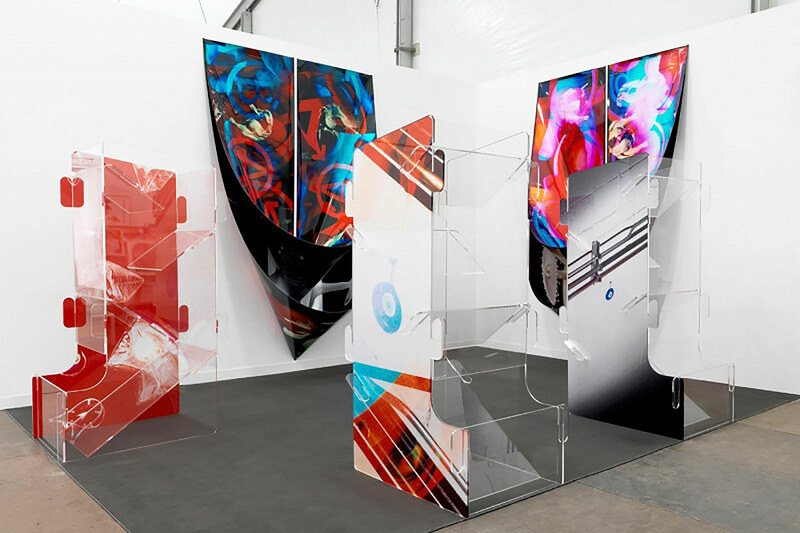 Many artists have opened to combining their works with new materials. In this approach, content and form have eventually gained equality. Elements formerly deemed frivolous and subordinate like photographic paper, frames, ways of hanging are now a deliberate choice, officially part of the creative process. From being passive objects, images have now gained potential to become active. German artist Olaf Metzel is a leading figure in this movement. Started out as a sculptor, Olaf has created unique works merging photography into sculptures, touching on various social issues from politics to art, economics and sports. 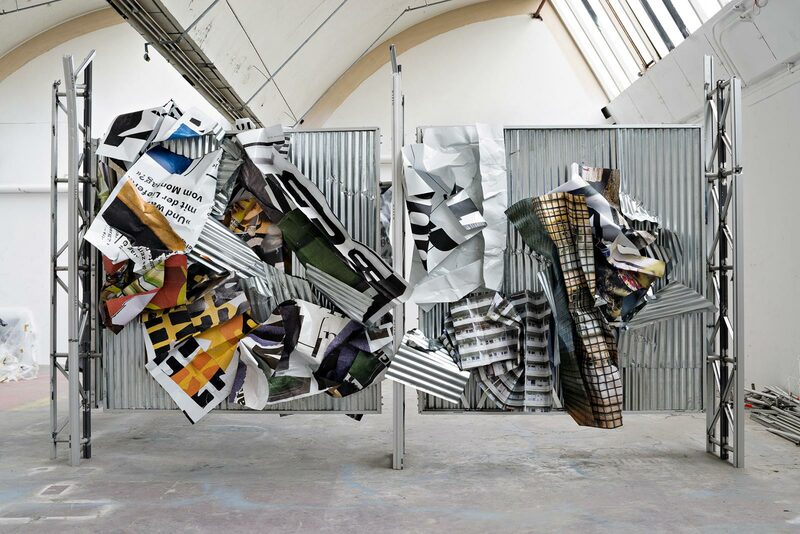 He has drawn inspiration from daily objects as well as news pictures, creating photos that exist on twisted steel resembling the texture of crushed paper. In doing so, perhaps Olaf wanted to express his feelings, probably his disaffection with the current affairs. 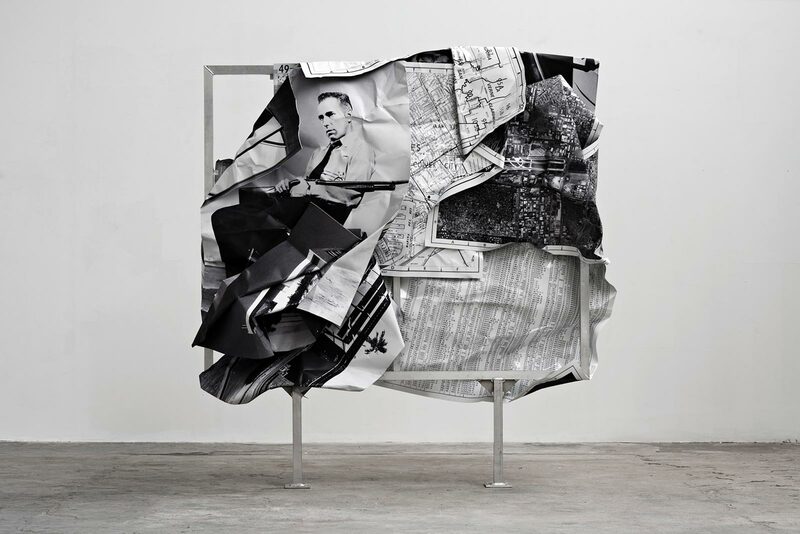 Unlike Olaf Metzel, Josh Kolbo’s work is both photographic and sculptural. He begins with shooting photos of still life, which are later integrated into shopping carts, or turned into piled up curtains made from large-size double sided prints. Framed pictures hung on the wall also possess depth by his cutting and pasting multiple layers. The photos are shredded and destroyed, but when put together, they look like a concrete mass. 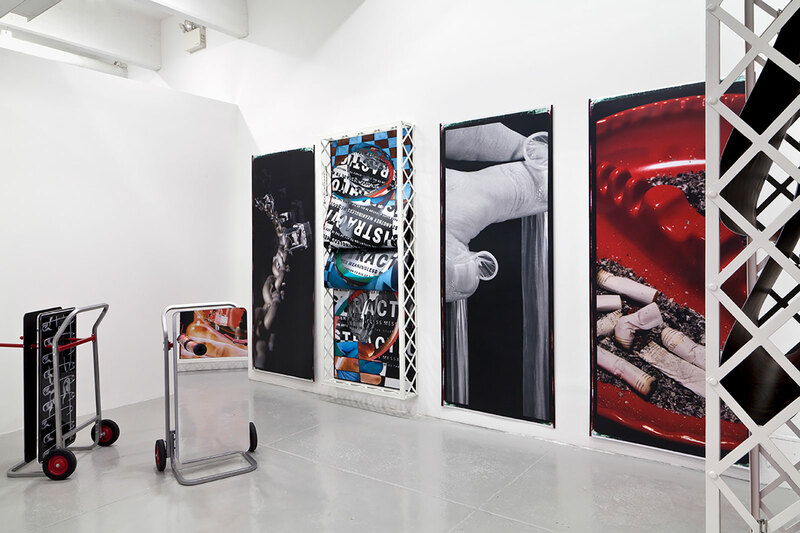 In making such intricate works, he has trespassed more than one boundary: between image and object, between two and three dimensions, between reality and its representation. 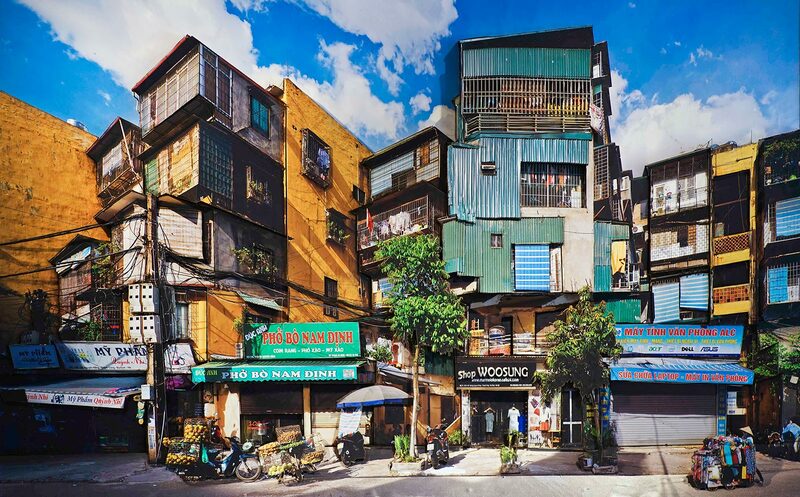 In Vietnam where photography has just been embraced by the contemporary art world in recent years, Nguyen The Son is among the pioneers who experiment with alternative materials. He focuses on the transformation in the cityscape and urban life in a series of long-term projects such as “Houses facing the street”, “City and Memory” and “Devant Derrier”. Also utilizing the camera to document the visible, but Son opts to use the laser cutting technique widely used in advertising to re-shape the space. In what he calls photo reliefs, we see intertwining layers of rising tube houses, of signboards of various sizes and color shouting for attention, or traces of personal lives behind the tiger cages in Soviet-style apartment complexes. While observing the miniature models of our surrounding, viewers can remove themselves from their own city and take a close look at it. In his “The Carriers” project, Son captures street vendors at work, then place the life-size cutouts in places where both the subjects and the works don’t belong. Presenting photographic works with alternative materials does not necessarily have to become our new standardized direction. Nonetheless, the aforementioned works have risen important questions for artists and viewers. Should photography be tasked with speaking the truth and representing life as it is? Do photos need to contain a humane message or an emotional story? Can photography be presented with a different form, arouse other sensations or suggest other ways of thinking? In short, do we need to create within the boundaries of the frame? The article reflects the author’s own opinion, using Photographs Objects Histories: On the Materiality of Images book as reference materials. Heritage Space invites you to join Photography and Materiality. An Introduction workshop by German artist Christoph Brueckner and Vietnamese Germany-based artists Nam Nguyen. This workshop aims to discover and experience new materials for photography, not only as a tool for exhibiting but to enrich our critical thinking about materiality. Further information is in the link attached. Nam Nguyen was born in Hanoi, currently lives and works in Halle-Leipzig, Germany. He finished his Bachelor degree in Media and Communication Science as well as Art History. He started his career in the commercial photography industry. Fascinated with contemporary photography and film, he focused on researching the effects of photography during his study.